A while back I was on ecstasy and I had an experience. 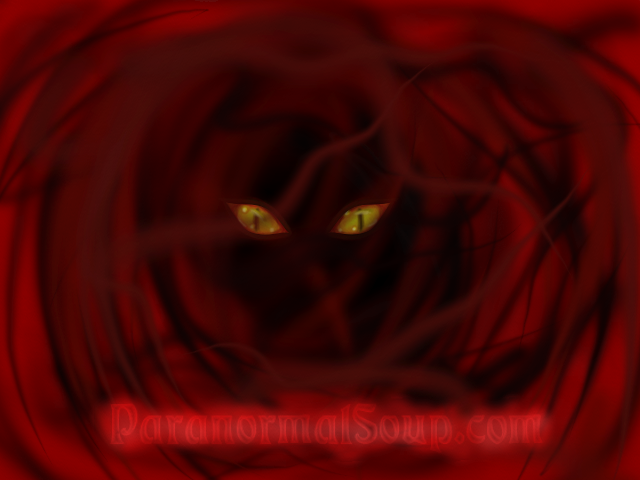 I believe I was able to see a negative entity. I saw it in a person at a house party, his eyes looked very unusual so I was looking at him quite a lot and saw his eyes changed and turned almost dark black/ red. I never experienced anything like this i am aware it could have been an hallucination but it seemed extremely vivid and I think he was temporarily possessed..
My cousin that i visit a good bit is into the occult and claims his house is a portal. Recently before i went to sleep in my house i noticed something very unusual. On the bottom of my beds headboard I noticed 2 small red hand prints. Is this a sign of a negative entity's presence ? would a priest blessing house remove any negative spirits ? I am unable to get good nights sleep as I am very nervous now. I have never personally tried Ecstasy but a few of my friends used to do it regularly. Some of them would have hallucinations at times, including one hilarious instance where one friend thought a Koala was biting his face in a pub. The point is that hallucinations are a part of Ecstasy, enough for it to be classed as a Psychedelic. I hope you are clued up on the dangers (I won't lecture you) as Ecstasy can be lethal and hallucinations tend to happen more when larger amounts of MDMA (the active chemical) are taken. Of course, there is still the possibility that the drug in some way "opened your third eye" to see these entities. Keep an eye on anything you see sober is my advice to rule the drug use out as the cause. Edited by Vlawde, 06 March 2018 - 08:56 AM. I wouldn't worry about it to much, unless you have some other things going on when you are sober. The thing about drugs is, different people make them, and depending on how they make them, and how much of what they put in them, the effects can happen differently. Truly, I would think about giving the drugs away if you are still taking them. A lot of people believe drugs can make people susceptible to negativity and it sounds like the drugs don't take you to any happy place! Total agree with what the other three comments. Good plan to give up the drugs, and then see what you experience naturally. We're here to help if you still experience strange things!